As revealed earlier today, the smartphone will make use of a tall 6.18-inch display complete with a rather large notch up top. But unlike the ones featured on Apple’s iPhone XS line or the upcoming Mate 20 Pro, not Face ID-like technology is fitted. Instead, the notch is simply home to an in-ear speaker, the proximity sensor, and a 20-megapixel selfie camera. In regards to the rear, the smartphone doesn’t really bring anything new to the table – it resembles most recent Nokia devices. This means that a small vertical camera module is included towards the top of the glass panel, while just below is a circular fingerprint scanner. Other design elements that aren’t visible in these teaser images include a USB Type-C port and a speaker on the bottom of the device, and a 3.5mm headphone jack up top. Internally, consumers should expect Qualcomm’s Snapdragon 710, 6GB of RAM, a very respectable 128GB of internal storage, and a 3,500mAh battery. Unfortunately, Android 8.1 Oreo will come pre-installed rather than the newer Android 9 Pie. 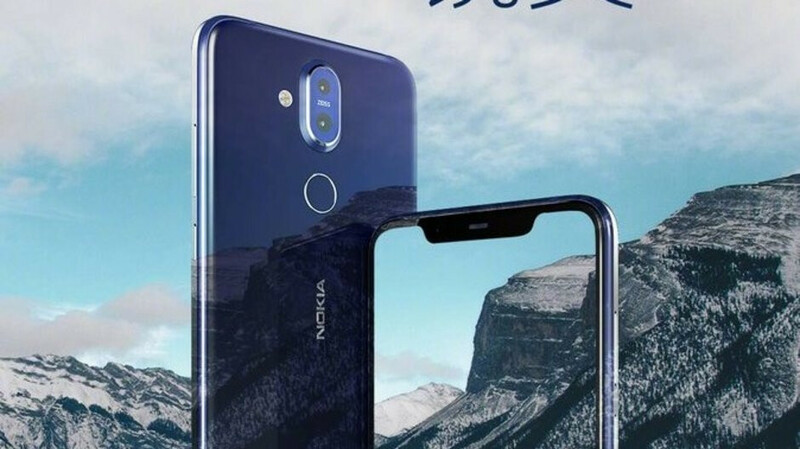 As has been the case with the Nokia 5.1 Plus and the Nokia 6.1 Plus, the 7.1 Plus will first make its debut in China under the Nokia X7 name. This means that the offering will likely remain exclusive to the market for at least two to three months before launching elsewhere. Design and Build material is bland with a potruded camera compare to nokia 7,6.1,7 plus as said in previous article and price is high too in my country currency Rs. exchange rate with no OIS or waterproof in this phone.I wait for MWC 2019 for nokia 6.2,7.2 notchless phone. There is no such thing a “waterproof” smartphone, only “water-resistant”, but I’m sure this at least comes with an IP54 rating making it splash proof, like the Nokia 6, 6.1, 8, etc. Pretty sweet mid-ranger, design and spec-wise. The notch looks better than the one on the Pixel 3XL, as well. I’m eager to see how well the 3500mAh battery performs (glad it’s larger than originally reported) with the SD710, power management wise. It’s understandable if this remains exclusive to certain regions like the Chinese and (most probably) the Indian and other regions where HMD is strongest. While this is better spec’d, the Nokia 7.1 has all the makings of a good mid-ranger as well, and it’s launched globally. Notch and chin, how uninspiring.. I agree. At least make some use out of the real estate or something. They are, considering that there is an in-ear speaker, the proximity sensor, and a 20-megapixel selfie camera there. Didn't you just get called out for attacking someone's opinion on Nokia articles? Lol, so posting facts is now called attacking someone’s opinion? Lmao! Get real. Btw, didn’t you get called out for trolling BlackBerry articles like you usually do? This should not be a Chinese exclusive, despite what some people say. Why keep others from being able to use the device? Hopefully Nokia doesn't skip out on the updates because they are behind on a few phones. If the Essential phone can be updated very quickly despite not being an Android One phone, then there's no excuse for Nokia to not be. Considering that China is a stronger market for HMD than the some others like the U.S., (and the largest smartphone market at that), from a business standpoint it's understandable why they have exclusives in said markets, even though it clearly states in the article that this smartphone will eventually see a global launch. Despite what some people say, this is an obviously sound strategy that has been working well for HMD, as they are in the top 10 global smartphone market, as well as a top 5 brand in Europe. HMD(not Nokia, since they no longer make smartphones or even provide the software outside of 2 apps) has been fantastic with both OS and security updates as well, better than most. Essential should be at least able to keep up with updates, as they only have one product to worry about, in addition to trying to stay in business. Yes, it's a sound strategy to not release a phone in a market where people are more willing to purchase an affordable Nokia phone over the next $1K Galaxy or iPhone. Yes that is a sound business strategy from the guy who pretends to have all the business knowledge and expertise. If people were more willing to purchase Nokia branded Smartphones in the U.S., you’d see more released here. You clearly don’t know the history of Nokia phones how they’ve sold in the U.S. Stop trying to speak for everyone, and stop using armchair CEO tactics. You’re only showing how much you don’t know about HMD’s business model, as there are documented facts on how well Nokia Smartphones sell in the U.S. vs places like China, India, Europe, the Middle East, etc. A little research goes a long way. You should try it sometime, as opposed to posting conjecture.